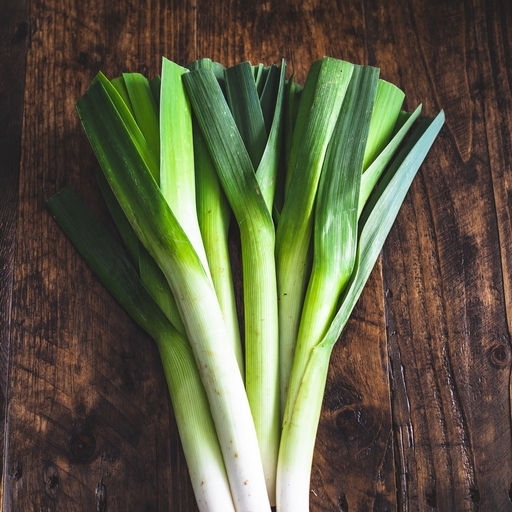 Beautiful organic leeks, straight from our fields. We choose the tastiest varieties and grow them slowly for flavour. One of the first crops we ever grew at Riverford, they’re still a favourite. Punchy and potent, they turn gorgeously sweet when cooked. From simple leek and potato soup to elegant leeks vinaigrette, these kitchen stalwarts will make your plate sing. Blanch, braise or stir-fry. You can use both the green and white parts. For an easy pasta sauce, sweat finely sliced leeks gently in butter and oil for 10 mins. Add a dollop of cream, mustard, some crispy bacon and you’re done. Keep in the bottom of the fridge. They’ll last a week or so. We normally start picking in September through until April.